Are mentorship and a team atmosphere important to you? If so, we’d like to add you to our team. We are looking for a full-time DVM for a busy, privately owned 5 doctor AAHA companion animal practice in Richland. Quality care and client service are a priority. Special interests are encouraged. Great staff and clients. New grads are welcome – we are proud to be home to the 2016 WSVMA Recent Graduate of the Year! No on call. Please contact us at [email protected]. PT-FT Associate DVM for an amazing, privately-owned, small animal practice in Benton City, WA. No night or on-call hours. New grads and experienced vets are welcome. We offer a base salary and/or production, IRA with employer match, CE Allowance, PTO, licensing fees, pet care discount and supplemental health insurance. Special interests are encouraged. Paper light, digital x-ray, in-house lab, caring and experienced support staff, and mentorship if desired. Submit cover letter and resume to Sharon Molton, DVM at [email protected]. Full-time small or mixed animal associate veterinarian wanted for a well-established, fast-paced veterinary practice located in Ephrata, WA. In this small town, you will find an abundance of recreational activities and a warm sense of community that is ideal for raising a family. At Ephrata Veterinary Clinic you will find very loyal clientele. You will be given the opportunity to work alongside a doctor that has been practicing veterinary medicine for over 20 years, providing an excellent mentoring experience. You will be assisted by a great support staff including, a licensed veterinary technician and a receptionist both with over 20 years of experience. Ephrata Veterinary Clinic is a modern, spacious facility equipped with a full in-house laboratory and digital radiography. New graduates are welcome and encouraged to apply. Please send a resume and cover letter to, [email protected]. The Fix Machine Animal Health Clinic in sunny Kennewick is seeking a full-time associate veterinarian. We are a fun, cohesive, and high energy team who provides full medical, surgical, and routine healthcare in a beautiful, spacious, and well-equipped clinic. You will enjoy a set 4-day per week schedule, with no nights, weekends, or on-call hours. Our DVM’s are fully supported with three highly skilled LVT’s and an extremely capable support staff. Benefits package and compensation are well above average. New grads welcome. Please email Christine for more details at [email protected]. Full-time position (4 days/week) near Spokane, Washington to begin September 1, 2019. New graduates welcome. Excellent, caring mentorship provided. We are a paperless hospital with in-house digital radiography, hematology/lab, pharmacy, and more. This is a small animal and exotics position although it can include farm animals and equine if you are interested. We offer a retirement plan, paid time off, paid licensing fees, paid professional memberships, paid continuing education, paid moving expenses, and a signing bonus. We will be opening our brand new facility on 19.3 acres in the summer of 2019. Now is the time to get in on the ground floor! Submit letter of interest and resumé to Jeannette Dutton, Practice Manager, at [email protected]. Questions? Contact Jeannette at (509) 299-3675 wk or (360) 359-2746 cell. She would love to talk with you! TRI-CITIES, WA: Seeking FT mixed-animal DVM with excellent people skills for thriving four-doctor practice (est. 1982). Modern facility with six exam rooms, digital radiography, latest ultrasound units. Benefits include 401 (k) plan with employer matching; medical, dental insurance; credit for CE expenses; 2 weeks paid vacation; relocation assistance (if moving >50 miles). Full reimbursement for professional liability, license renewal, AVMA dues. Voted “Best Veterinarian” in the 2016 Tri-City Herald’s People’s Choice Awards! Contact practice manager Henry James at [email protected]. 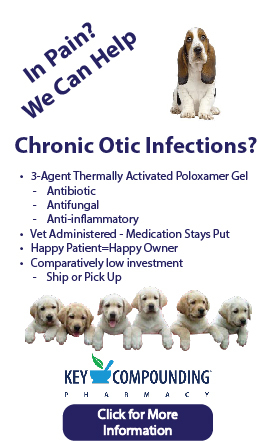 More info at www.pascovets.com. Immediate opening available to a PT or FT small or mixed animal Veterinarian. Enjoy practicing in a well-established community hospital that boasts a team-oriented support staff, excellent mentorship, an enjoyable work environment with a good work-life balance, and is situated in a beautiful recreational area. We have a recently expanded and remodeled hospital that has all the tools necessary to support high-quality care including digital X-ray, computerized record system, ultrasound, and a full in-house laboratory. We offer a sign-on bonus and you will be compensated with an excellent base salary plus a production bonus and benefits including a CE allowance, dues paid, and paid vacation. New graduates are always welcome Please email resume to [email protected]. Come join me in paradise. Busy mixed animal practice in central Washington in search of an associate. Ideal candidate would have a background or interest in mixed animal practice. Although, the small ruminant and equine portion of the practice is definitely underserved and could be developed by the right person. Buy in/buy out potential encouraged. Contact me and let’s talk. Harrah Veterinary Clinic, Bruce W. Hutton, DVM; 3642 Harrah Road, Harrah, Washington 98933; (509) 848-2943; [email protected].